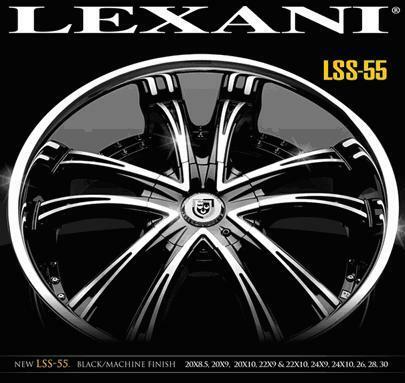 We have just received a shipment of the new Lexani LSS wheel, and man is it HOTT!!!! They are available in 3 different finishes. Black and machine face with black lip and machine pinstripe, Black and machine face with chrome lip and last but not least FULL CHROME! They have a massive deeeeeeeep dish! 20x8.5 has 5 inches of lip!!! Please call your local Ozzy store or call 02 9825 0355 to order!